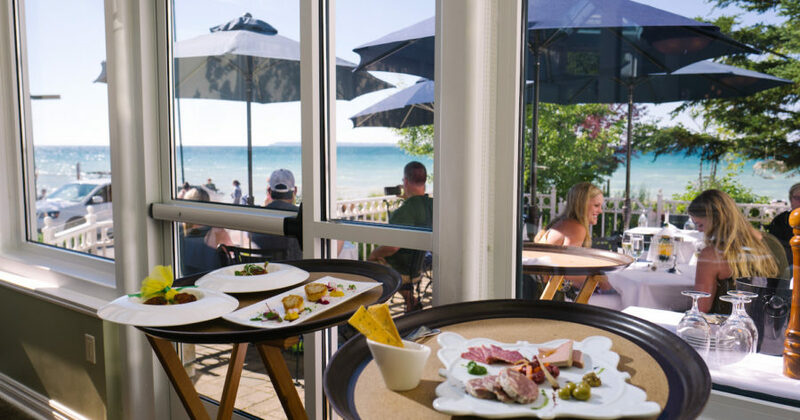 Photo(s) by Taylor BrownBlu in Glen Arbor is participating in Glen Lake Restaurant Week. The MyNorth Calendar highlights the amazing things going on across the North—Cadillac up to the Upper Peninsula. Each week, we pick our favorite events to share with you. Curated by MyNorth Media’s Calendar Editor, Libby Stallman, here’s what’s happening Up North. Mark your calendar! The National Writers Series presents author Eric Fair, a contract interrogator in Iraq’s Abu Ghraib prison complex in 2004. His new book Consequence: A Memoir describes the experience. City Opera House, Traverse City. nationalwritersseries.org. An Ernest Hemingway Occasion: Meet-n-greet with Valerie Hemingway who was both a personal assistant and daughter-in-law to the late author. Ms. Hemingway the is author of Running with Bulls, a memoir of her years working with her father-in-law. The meet-in-greet will be accompanied by Ernest Hemingway-inspired drinks and hors d’oeuvres, compliments of the Walloon Lake Inn. Guided tours of Horton Bay and Walloon Lake, fly fishing demonstrations and so much more! 231.535.5000, hotelwalloon.com. Through April 29. Glen Lake Restaurant Week: Restaurant Week around Glen Arbor is a time experience amazing local food at a stellar price, from French fries to French cuisine. Throughout the week, visit each restaurant for a wide variety of menu items at a great price, $25–$30. Call ahead with questions and to make reservations. visitglenarbor.com Through May 6. Almost Maine is a romantic comedy that explores love and loss in a remote, mythical almost-town. Ramsdell Theatre, Manistee. MyNorthTickets.com. NMC Children’s Choir Spring Concert: The concert features Dolce, Bel Canto, Lyric, Ragazzo and Cantus performing music from around the world! Lars Hockstad Auditorium, 3 p.m., Traverse City. For tickets, call 800.836.0717 or go online to MyNorthTickets.com. Traverse City Chocolate Festival: Chocolate-inspired art, books, and shopping; live music by Jim Hawley and Son. Two times (and ½ the crowd) to choose from this year at 11:30 a.m. or 2:30 p.m. Attendees will receive a Sampling Coupon for each exhibitor. Tickets are limited, $15.50/adult and $8.50/children 12 and under. City Opera House, Traverse City. 231.941.8082, cityoperahouse.org. Cookbook Dinner Series at Amical: This week’s menu features selections from Dos Caminos Mexican Street Food, by Ivy Stark. This cookbook takes the tasty, yet unpretentious nature of classic Mexican street food and transforms it into vibrant and savory sit-down meals. Amical closes this year’s cookbook series with these fresh and colorful Mexican dishes. 5:30–9 p.m., reservations recommended. Traverse City, 231.941.8888, amical.com. Through May 7. Peepers Programs: Grand Traverse Conservation District created 90-minute programs specifically developed for children ages 3–5 at the Boardman Nature Center. Each themed-session includes stories, crafts, music, and a discovery activity. This week’s theme is Busy Bees. $5 per child; 231.941.0960, natureiscalling.org. Zonta Club celebrates the leadership of women in our community with the Hats Off To Women Luncheon, Traverse City Golf & Country Club. MyNorthTickets.com.